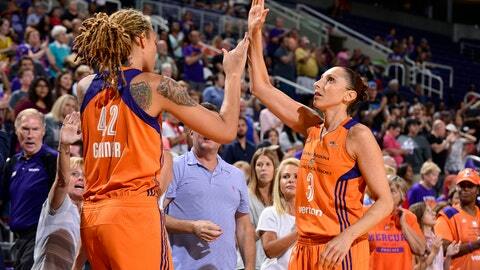 PHOENIX — Diana Taurasi and Stephanie Talbot scored 14 points apiece to lead five Phoenix players in double figures and help the Mercury beat the Indiana Fever 94-74 on Friday night. Kelsey Mitchell, the second overall selection in April’s draft, led the Fever with 20 points, including four 3-pointers. Tiffany Mitchell added a season-best 17 points and tied her career high with nine rebounds.